This scapular owes its origin to an apparition which Jesus Christ vouchsafed to a Sister of Charity of St. Vincent de Paul in 1846. 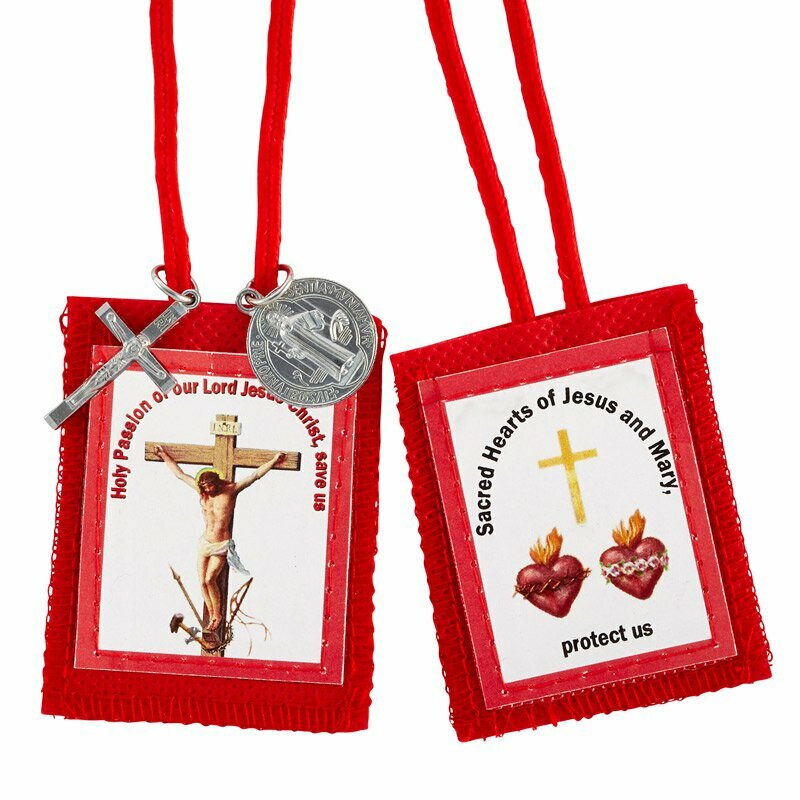 Jesus Christ showed the sister a scapular, such as is worn, and promised to all who should wear it on every Friday a great increase of faith, hope, and charity. The apparition having been several times repeated, and finally in the following year reported to Pius IX, the latter sanctioned the scapular by a Rescript of 25 June, 1847, and granted the Priests of the Mission (the Lazarists) the faculty of blessing the scapular and investing the faithful with it. He simultaneously granted many indulgences for the wearing of the scapular. The Superior-General of the Lazarists can communicate the faculty of blessing and investing with this scapular to other regular or secular priests. On one panel, Jesus Christ is represented on the Cross; at the foot of the Cross are the implements of the Passion, and about it are the words: "Holy Passion of Our Lord Jesus Christ Save us." On the other are represented the Hearts of Jesus and Mary, and above these a cross with the inscription: "Sacred Hearts of Jesus and Mary, protect us."